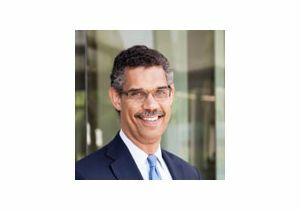 Dr. Clarence H. Braddock III has been appointed vice dean for education in the David Geffen School of Medicine at UCLA, beginning Nov. 1. Braddock currently serves as associate dean of undergraduate and graduate medical education at Stanford University, as well as director of the Stanford Center for Medical Education Research and Innovation and director of clinical ethics at the Stanford Center for Biomedical Ethics. He is also a professor of medicine and a practicing internist with particular interest and expertise in bioethics, doctor-patient communication and shared decision-making. In this newly created position at UCLA, Dr. Braddock will oversee all aspects of medical education, including undergraduate, graduate and postgraduate medical programs. Braddock is a Phi Beta Kappa graduate of Stanford University, where he completed undergraduate work in biology. He is also an AOA graduate of the University of Chicago Pritzker School of Medicine. He was trained in internal medicine at the U.S. Naval Hospital in Oakland, followed by service at the Naval hospitals in Naples, Italy, and in Oakland.